Copenhagen Houseboat offers the ultimate travel card when you visit Copenhagen. When you have made the first contact after your reservation, you will receive the confirmation/introduction e-mail from us. In the e-mail we will enclose extra offers to you stay- Bicycle rentals, Exclusive Harbour Cruise and the CopenhagenCard. If you don’t want to miss out on anything when you are here- pay less. When arriving in Copenhagen with a Copenhagen Card in hand, you are ready for exciting experiences without the hassle of booking and buying. A 24-hour card, a 48-hour card, a 72-hour card and a 120-hour card. An adult card (16+) and a child card (10-15). Bring along two children (0-9) for free with an adult Copenhagen Card. You will receive the ordered travel card at your arrival to Copenhagen Houseboat. Due to postage you must buy your Copenhagen Card online minimum 14 days before arriving to Copenhagen if you wish to have the cards ready as soon as you arrive. 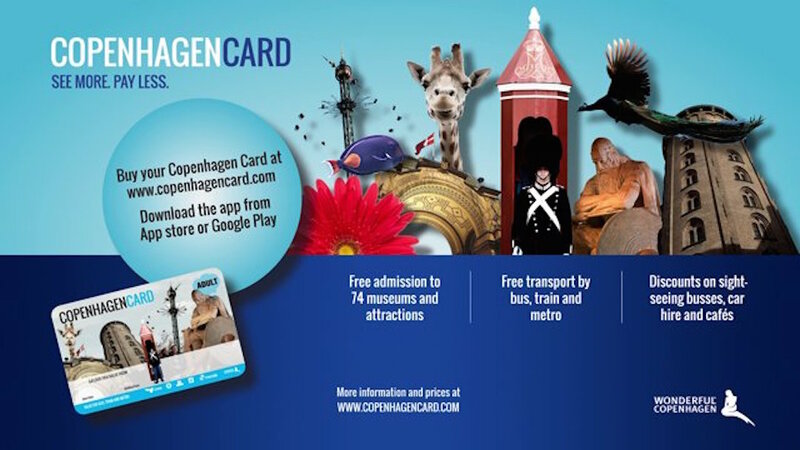 If you arrive in Copenhagen within 14 days, you can buy your Copenhagen Card online and receive a voucher or buy it at sales points in the city: Copenhagen Airport , The Visitors Centre, at major train stations and at a number of hotels. With Copenhagen Card a wheelchair user can bring a companion free of charge.